ESCO International solutions & technologies provide an innovative portfolio of technical services and equipment, specializing in Ozone, UV and Advanced Oxidation Processes (AOP) for drinking water, municipal & industrial wastewater treatment, ground water remediation, gas effluent and odour treatment. We design and supply a wide range of products and treatment systems, providing added value through a complete turn-key service from design through to commissioning and servicing. – Oxidation of a wide range of recalcitrant and bio-toxic organic contaminants, Phenols, MTBE, BTEX, Chlorinated compounds, Mercaptans, H2S, Cyanides, Urea , taste & odour-causing compounds, Endocrine Disrupting Compounds (EDCs), Pharmaceuticals and Personal Care Products (PPCPs), Active Pharmaceutical Ingredients (API), Pesticides & Herbicides, and many other challenging applications. 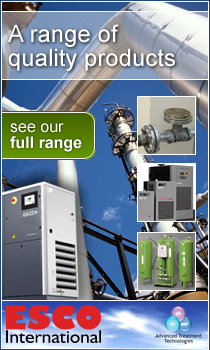 – Ozone generators and ancillary equipment. – Design and supply of laboratory and industrial pilot plants.